With the generous support of the Mellon Foundation, from 2009–2017 the School awarded up to three fellowships each year to promising young scholars working at the intersection of humanities disciplines, or between humanities and other disciplines. This Fellowship was intended especially for scholars who work in more than one specialty within the humanities, or whose work bridges from the humanities to science, technology, or architecture. 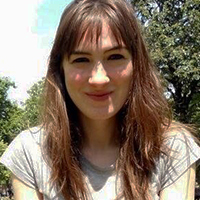 Anna Jones Abramson specializes in interdisciplinary approaches to global modernist literature, with particular interests in environment and climate sciences, affect theory, war, and violence. 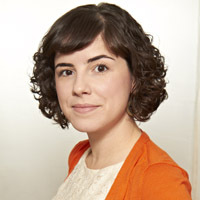 Abramson received her Ph.D. in English from the University of California, Berkeley, in 2016 and comes to MIT following a fellowship year at Harvard University’s Mahindra Humanities Center. At MIT, Abramson will complete her current book manuscript, The Age of Atmosphere: Air, Affect, and Technology in Modernist Literature. The study explores twentieth-century atmosphere in multiple senses of the word: literal air and weather; public moods; aesthetic and literary ambience. In the first few decades of the twentieth century, technological innovations such as poison gas, the airplane, the radio, and modern weather forecasting made air lethal, palpable, and legible in unprecedented ways. At the same time, modernist writers experimented with new formal strategies for generating literary atmospheres. Abramson’s project traces the historically and technologically inflected convergence of these meteorological, affective, and literary atmospheres, and considers a range of implications for contemporary crises in climate change and climate control. Liz Koslov works at the intersection of media and cultural studies, urban studies, and the sociology of climate change. She received a Ph.D. in Media, Culture, and Communication from New York University, where she was also affiliated with the Institute for Public Knowledge. At MIT, Liz will develop her first book project. Retreat: Moving to Higher Ground in a Climate-Changed City, under advance contract with the University of Chicago Press, is an ethnographic account of “managed retreat,” the relocation of people and clearing of land vulnerable to extreme weather, sea level rise, and other effects of climate change. Retreat is based on fieldwork over four years in the New York City borough of Staten Island, where coastal residents organized in favor of government buyouts of their homes after Hurricane Sandy. 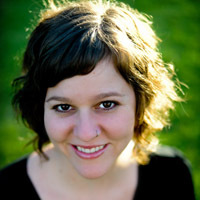 Lauren Flood works at the intersections of music, anthropology, sound studies, and science and technology studies. 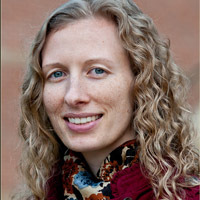 She received her Ph.D. in ethnomusicology from Columbia University in 2016, with research and writing support from the Whiting Foundation, the Berlin Program for Advanced German and European Studies, and the National Science Foundation. At MIT, she will focus on a book manuscript based on her ethnographic fieldwork in New York and Berlin, provisionally titled Permanent Prototype: DIY Futures and Sonic Instruments. The project explores how experimental instrument builders navigate ethical labor and cultural citizenship in the contexts of the do-it-yourself (DIY) ethos, maker culture, and popular, avant-garde, and underground music scenes. She is especially interested in the cultural significance of instruments and the interrelations between machines, design and craftsmanship, and “hands-on” DIY practices in an increasingly digital world. Sun-ha's research examines the ideals and fantasies surrounding new media technologies. He received his Ph.D. from the Annenberg School for Communication, University of Pennsylvania. His work has been published through journals like First Monday and European Journal of Cultural Studies. At MIT, he will be working on completing one book project and beginning another. The first, Data Epistemologies / Surveillance and Uncertainty, analyses the changing boundaries of the known, the probable and the unknowable vis-à-vis early twenty-first century technologies of state “dragnet” surveillance and self-tracking. The second, A Speculative Literature for a Data-Driven Society, examines the genealogy of our imaginations about data, innovation and surveillance — from science fiction of the early twentieth century to experimental prototypes of “big” data in the present day. Feng-Mei Heberer studied film and comparative literature in Germany, France, and China before receiving her Ph.D. in Critical Studies from the University of Southern California. Her research explores Asian and Asian diasporic media cultures, in particular how they partake in and represent contemporary conditions of globalization. At MIT, Feng-Mei will be working on her book manuscript on Asian diasporic video from parts of North America, Western Europe, and East Asia, and how these visual works stage new forms of minoritarian belonging. She will further delve into a new project on the representation of Asian labor in new media industries, analyzing what “Asia” means in a transnational circuit of labor that unequally exploits people and resources for the making of digital devices and online services today. 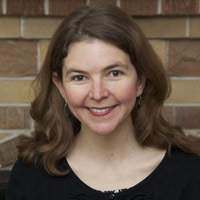 Mary Kuhn received her Ph.D. in English from Boston University in 2014. Her book manuscript examines the relationship between literature and botanical culture in nineteenth-century America, focusing on how literary domesticity drew upon transatlantic scientific and commercial plant networks. While at MIT, she will consider how literary and scientific studies of sentiment work in relation to one another. Researchers in CSAIL and the Media Lab are approaching emotion through computerized “sentiment analysis” of writing, and collaborations between literary and scientific communities can demonstrate to each the techniques and expertise of the other. Heather Lee received her Ph.D. from Brown University in American Studies. She studies the historical transformation of Chinese restaurants in the United States from an enclave business into one of the largest mass consumer industries. Blending archival research with quantitative and spatial analyses, this project tells the story of how the Chinese developed a system for shuttling capital and labor across the Pacific that accounts for the Chinese restaurant industry’s rapid growth in the early twentieth century. Alongside this research, Heather is developing a historical database of Chinese restaurants, which she will make publically available through an interactive digital platform on Chinese migration. 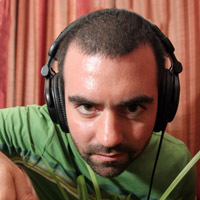 Peter McMurray is a musician, filmmaker and anthropologist of sound. He received a Ph.D. in ethnomusicology from Harvard University with a secondary field in critical media practice. His research engages questions of urban sound and Islam, particularly within the context of transnational Turkish communities in Berlin. While at MIT, he will be working on a book on the Islamic acoustics of Berlin as well as a series of related audiovisual media pieces. These projects build on recent media work on sensory-rich engagements with Islam, including a 16-channel audio piece, God Listens to Those Who Praise Him (2014), documenting some of the multifaceted sounds of Turkish Berlin, and a collaborative film with Kythe Heller, Dear Bawa Muhaiyaddeen, (2013), on the life and legacy of the Sri Lankan Sufi teacher and the limits of visuality. He is also an assistant curator of the Milman Parry Collection of Oral Literature and a co-editor-in-chief of Sensate Journal. 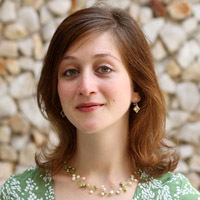 Meredith Schweig received her Ph.D. in ethnomusicology from Harvard University. Her research explores twentieth- and twenty-first-century music of East Asia, with a particular emphasis on popular song, narrativity, and cultural politics in Taiwan and China. At MIT, Schweig will be working on a book about Taiwan's hip-hop scene. The project focuses on how performers have invoked rap as a storytelling practice to make sound and sense of the dramatic social and political transformations that accompanied Taiwan's democratization at the end of the twenty-first century. A second project in development refracts questions about music, memory, and mediation through a study of pop icon Teresa Teng. 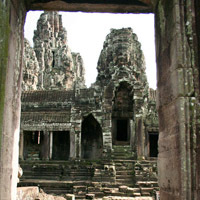 Maria received her Ph.D. in Anthropology from Rice University. Her research explores the design practices and ordering logics that shape political participation in late-liberal democracies. Her dissertation project looks at the introduction of an American-inspired political marketing industry into Colombian politics, and how it easily intersected with existing clientelistic political practices. While at MIT, she intends to further explore the features of liberalism that allow clientelism and media-based politics to coexist, and even thrive, under a single system. She is also currently developing a second research project that studies emergent participatory approaches in American urban design. By looking at the participatory methodologies and implementation of public interest design projects, Maria explores how these projects envision a pluralized and socially just version of a market-centered liberalism in the United States. Rebecca received her Ph.D. from the University of California-Los Angeles in Ethnomusicology. She studies contemporary and classical music in Haiti, focusing upon a wide range of musical groups who have used cultural action for community development. Her dissertation is titled "Power and Potential in Contemporary Haitian Music: Mizik Angaje, Cultural Action, and Community- Led Development in Port-au-Prince." Julia received her Ph.D. from the University of California-Santa Barbara in Literature. 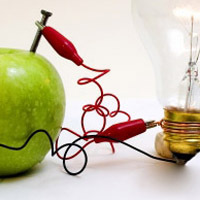 She is a literature scholar who studies how changes in the technology of media storage generated innovations in literary imagination, forcing a reconceptualization of what books mean. Her dissertation is titled "Dead-tree Data: Print Novels, Information Storage, and Media Transition, 1910/2010." Marcella received her Ph.D. from Rensselaer Polytechnic Institute in Communication and Rhetoric. Marcella studies internet gaming in China from an ethnographic perspective, looking at the politics of video games, concerns about "addiction," and the aim of many games to "produce ideal citizens." She situates this study in the internet cafes, dorm rooms, and small apartments where gaming takes place. Her dissertation is titled "The Politics of Internet Gaming in China." Hye Jean Chung received her PhD in Film and Media Studies from the University of California, Santa Barbara, where she concentrated on transnational cinema, cross-border mobility, production studies, digital visual effects and animation, documentary film, East Asian cinema, and Asian-American cinema. 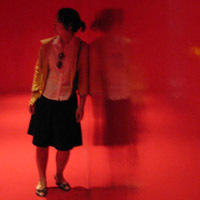 As a fellow at MIT, Chung is working on a book project that analyzes the globally dispersed and digitally networked workforce of film production pipelines, and its relation to the fictional spaces, computer-generated imagery and digital aesthetics of contemporary cinema. 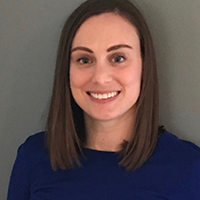 She is also pursuing another project that explores how media texts, cultural practices, and digital technologies manifest and actualize aspirations for global mobility. Her work has been published in journals such as Spectator and Contemporaneity, and in the anthology Documentary Testimonies: Global Archives of Suffering, edited by Bhaskar Sarkar and Janet Walker. Other essays, “Media Heterotopia and Transnational Filmmaking: Mapping Real and Virtual Worlds” and “Kung Fu Panda: Animated Animal Bodies as Layered Sites of (Trans)National Identities,” will appear in forthcoming issues ofCinema Journal and The Velvet Light Trap, respectively. She has recently co-edited and contributed to a themed issue of Media Fields Journal on the intersection of media, labor, and mobility. In addition to her scholarly endeavors, Chung has worked as a journalist, and published translations of literary works from Korean into English and vice versa. Gretchen E. Henderson writes across genres and the arts to invigorate her critical and creative practices. Working at the intersection of literature, art history, museum studies, disability studies, and music, her research explores aesthetics of deformity, museology as narrative strategy, poetics of (dis)embodiment / (in)accessibility / author(ity), and literary appropriations of music. She holds degrees from Princeton University, Columbia University, and the University of Missouri, as well as a Preparatory Certificate in Voice from the San Francisco Conservatory of Music. Gretchen’s forthcoming novels include Galerie de Difformité(&NOW Books, winner of the Madeleine P. Plonsker Emerging Writer’s Prize) and The House Enters the Street (Starcherone Books), as well as a critical volume about literary appropriations of music and silence, On Marvellous Things Heard (Green Lantern Press), and a poetry chapbook engaging cartographic history,Wreckage: By Land & By Sea (Dancing Girl Press). Her fiction, poetry, scholarship, and hybrid writings have been published in a number of journals and anthologies, including The Kenyon Review, The Iowa Review, The Southern Review, Denver Quarterly, Black Warrior Review, Notre Dame Review, Witness, disClosure: a Journal of Social Theory, The &NOW Awards: The Best Innovative Writing, and elsewhere. Her work has been heavily influenced by residencies at artist colonies, by collaborative practice, by cross-disciplinary inquiries, and by teaching at a number of colleges. Among other projects while at MIT, Gretchen will be working on a book tentative titled Ugliness: A Cultural History, while continuing the material, collaborative deformation of her Galerie de Difformité, which invites participation at:difformite.wordpress.com. Chuong-Dai Vo is working on two book projects pertaining to Asian diasporas and transnationalism. The first book project, An Assemblage of Fragments: Ethics and Aesthetics in Vietnamese Transnationalism, analyzes the relationship among aesthetics, post-war returns, and neoliberalism in literature, films and visual art produced about marginalized subjects in Vietnam and in the diaspora. Her second book project will be a co-edited anthology about contemporary Southeast Asian visual culture—alternative art practices and spaces. She is co-editing with Mariam Lam and contributing to a special issue of Amerasia on diasporic Vietnamese cultural studies. Her publications can be found in Journal of Vietnamese Studies, the anthology Political Regimes and the Media in Asia, edited by Krishna Sen and Terence Lee, and the forthcoming anthology Film in Contemporary Southeast Asia: Cultural Interpretation and Social Intervention edited by David Lim and Hiroyuki Yamamoto. Amaranth Borsuk is a poet and scholar. Her PhD. is in Literature and Creative Writing from the University of Southern California, where her work focused on the use of writing technologies by modern and contemporary poets to change their relationship to the page and their constructions of authorship. As a fellow, she will undertake a book of essays on the state of digital poetics and work on her second manuscript of poems. Her essays have appeared in Writing Technologies and the H.D. issue of the Journal for Cultural and Religious Theory. Poems have recently appeared in Colorado Review, Columbia Poetry Review, AND FIELD, among other journals. Her long poem, Tonal Saw, was published as a chapbook by The Song Cave. Collaboration is central to her practice; she has translated and transverted the work of Oulipo poet Paul Braffort, working with Gabriela Jauregui; undertaken a mutationally conjoined poem project with Kate Durbin; and crafted an augmented-reality chapbook with Brad Bouse. In addition to writing and studying poetry, Amaranth is a letterpress printer and book artist whose fascination with printed matter informs her work on digital media. Joel Burges received his B.A. from Yale in American Studies, and his PhD from Stanford in English and American Literature. 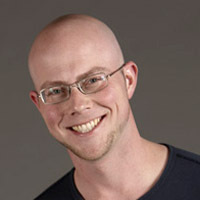 His current research and teaching interests include twentieth and twenty-first century literature, television, and film, the relationship between technology and time in contemporary culture, critical theory, and media studies. While at MIT, Burges is working on a book provisionally entitled Turning back the Clock: Technological Obsolescence and Historical Time in Contemporary Culture. An essay on filmmaker Douglas Sirk related to this book has been published in the collection Trash Culture: Objects and Obsolescence in Cultural Perspective, edited by Gillian Pye; another essay, "Adorno's Mimeograph: The Uses of Obsolescence in Minima Moralia," is forthcoming in New German Critique. A blogger at Stanford's Arcade, Burges is also working on other projects related to the status of history in contemporary culture, including: a forthcoming essay on 9/11, Hannah Arendt, and the contemporary novel; research and writing about how televisual fiction alters the shape of literary fiction after 1945, and about how TV shows such as Deadwood build "worlds"; and collaborating on an essay that proposes a sonic vocabulary for the study of film. Wayne Marshall is an ethnomusicologist focusing on the musical and cultural production of the Caribbean and the Americas, and their circulation in the wider world, with particular attention to digital technologies. While a Mellon Fellow at MIT, he's writing a book on music, networked media, and transnational youth culture. He recently co-edited and contributed to Reggaeton (Duke University Press 2009), and has published in journals such as Popular Music and Callaloo, while writing for popular outlets like The Fader, The Wire, and the Boston Phoenix. He holds a PhD. in ethnomusicology from the University of Wisconsin-Madison, where he completed his dissertation on migration, media, and nation, "Routes, Rap, Reggae:Hearing the Histories of Hip-Hop and Reggae Together." Dr. Marshall has taught courses and lectured on music, media, and culture at Brandeis University, University of Chicago, Harvard College, and Brown University. He is also an active DJ and maintains and runs the blog and website called Wayne and Wax.